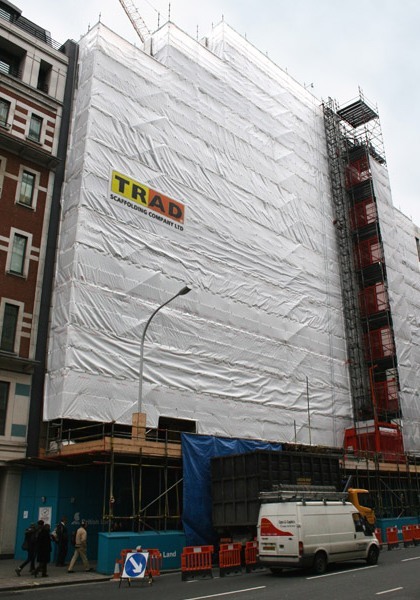 TRAD were approached by Mansell Construction Ltd to produce a scaffolding scheme for the detailed replacement of the cladding facade on this building, along with various internal scaffolds including a complicated Atrium birdcage. 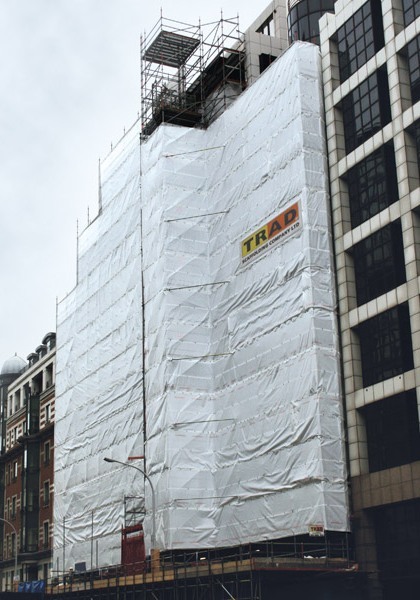 After careful consideration of the site and erect period we felt that the use of Layher system scaffold would be an ideal solution. 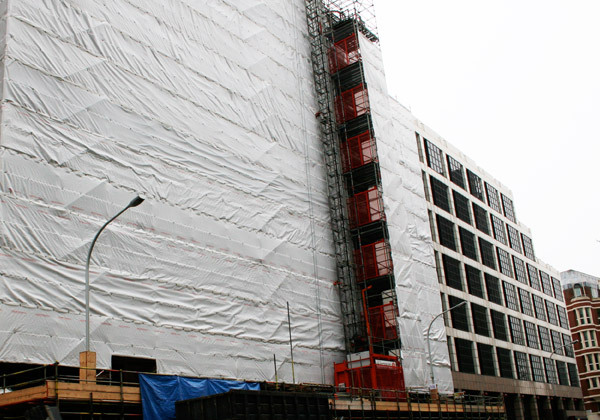 This is due to the shorter build time of Layher over traditional tube and fitting, while the shape of the building façade also complimented the use of this system. 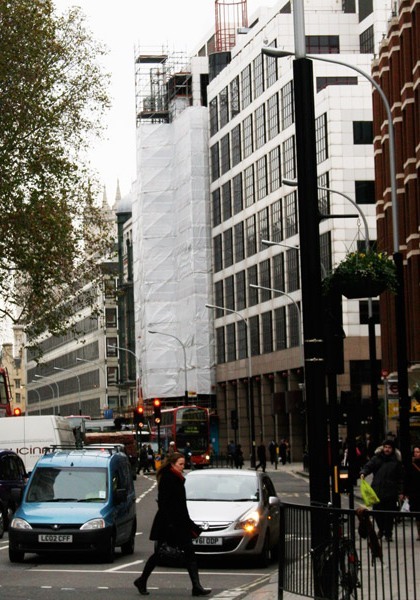 The brackets used also enabled cost efficient and simple adaption of the scaffold, which was required at a later stage in the project. Our on-site Foreman was Martin Parsysz who has received many accolades from our clients regarding his attitude to safe systems of work.